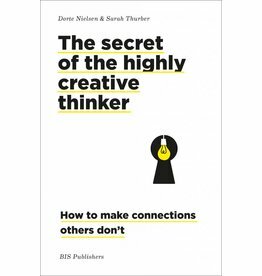 A wonderfully designed book about the heartbeat of creativity: divergent and convergent thinking. 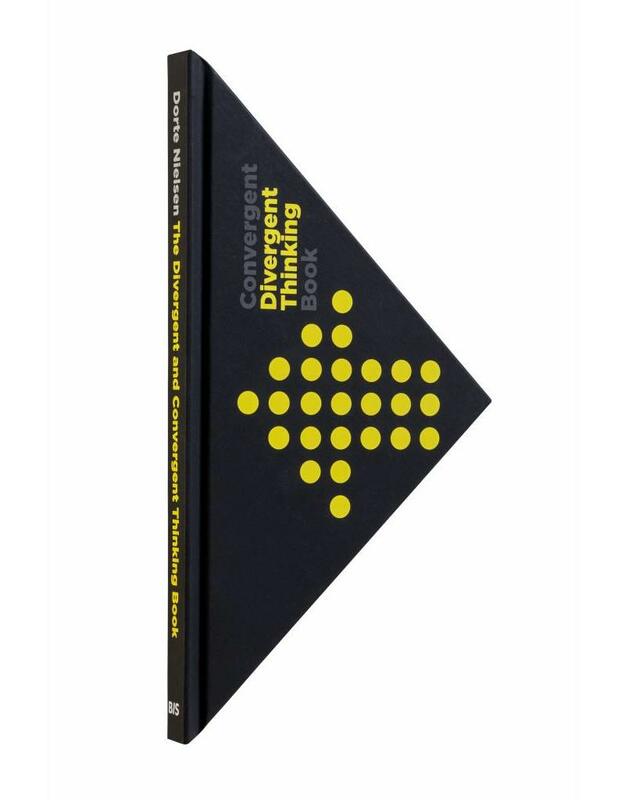 The book itself explores the concept of divergent and convergent thinking both in words and images. It is a book and a notebook in one. Form follows content in the unusual design. You could say that having the book in sight serves as a pacemaker for your own creativity: a constant reminder of the guidelines for innovative thinking. But above all the book leaves plenty of room for your own creativity. 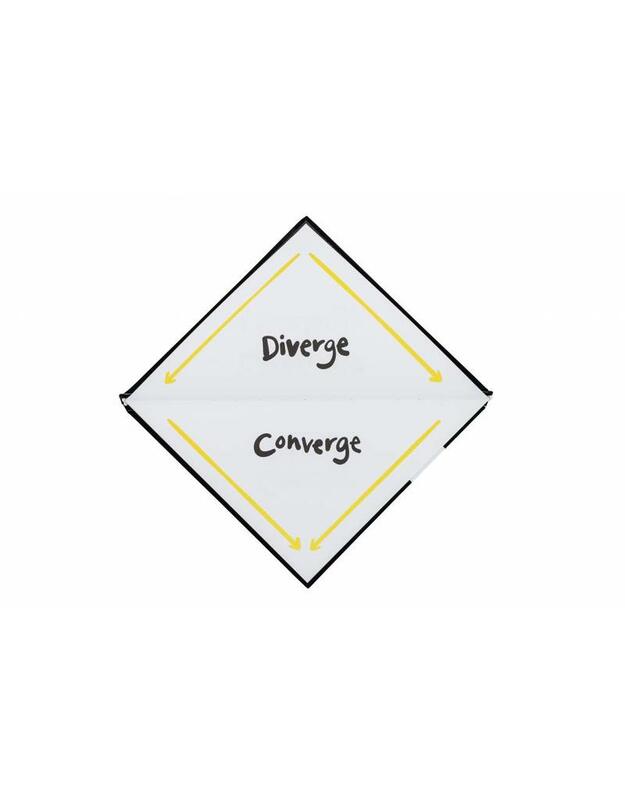 Creativity research shows that dividing thinking into divergent and convergent forms improves and increases idea production; this leads to unexpected thoughts and original solutions. 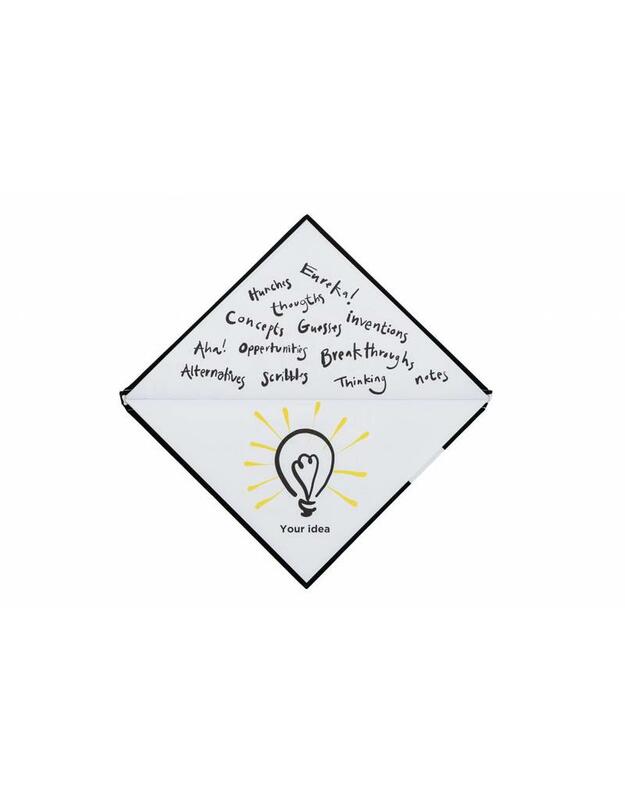 Divergent thinking is used to generate ideas; convergent thinking helps in selecting the best ideas. The concept of divergent and convergent thinking is so integral to the creative process and innovative thinking that it is known as ‘the heartbeat of creativity’. It is the underlying rhythm of creative thinking. 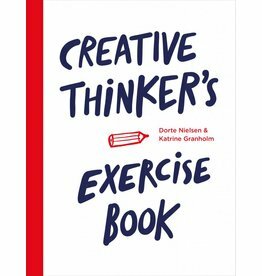 This book is an introduction to divergent and convergent thinking and includes guidelines to enhance innovative thinking, as well as hands-on exercises to strengthen creativity. 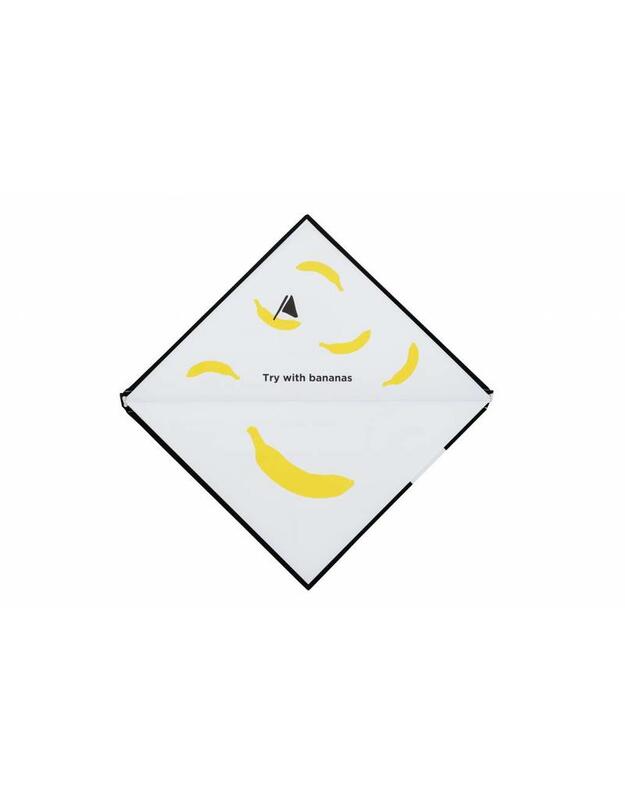 The concept of the book is supported by its triangular shape, illustrating divergent and convergent thinking: the top half of the book communicates divergent thinking, while the bottom half communicates convergent thinking. This principle remains the same throughout the book.